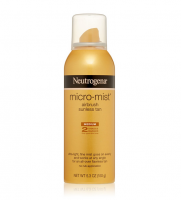 Get a gorgeous, sunless tan with Neutrogena Micromist Airbrush Sunless Tan. This fine mist applies like a professional airbrush spray to create a tan two shades darker than your skin tone. Designed for hands-free application, the mist applies lightly and evenly, and it dries in less than five minutes with no rubbing required. 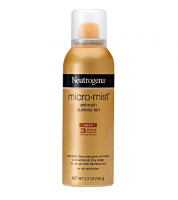 The one-touch continous spray works at any angle, so you can cover hard-to-reach places, including your back. 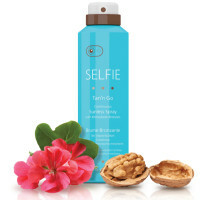 This sunless tan spray is oil- and alcohol-free. Water, dimethyl ether, witch hazel (hamamelis virginiana) water, ethoxydiglycol, dihydroxyacetone, dipropylene glycol, dimethyl isosorbide, isoceteth-20, methyl gluceth-20, glycereth-7, propylene glycol, diazolidinyl urea, methylparaben, propylparaben, sodium PCA, citric acid, fragrance. 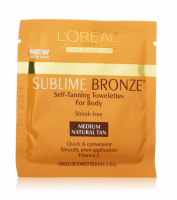 Sunless Tanning Tip - Before applying your sunless tanner, wash and exfoliate skin with Neutrogena® Pre-Sunless Scrub. Dry skin thoroughly. Apply to freshly cleansed, exfoliated skin. 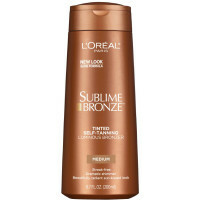 Hold spray 6" away from body and sweep evenly across desired area to tan, keeping the can in constant motion. Stop spraying at the end of each stoke to avoid over application. Apply sparingly around rough skin like elbows, knees and ankles.